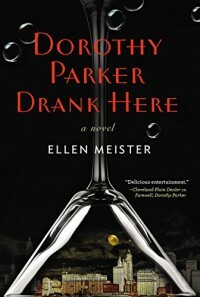 It isn't necessary to read Meister's first Dorothy Parker book (Farewell, Dorothy Parker) before this. In fact, you might want to read this one first because A) it's kind of a prequel, and B) it's better. The ghost of Dorothy Parker manages to disarm the world-weariest of people this time around with her droll and calculating personality. Similar to the first story, her presence helps connect people with problems to resolve (in this case, a dying writer making one last stab at forgiveness toward people he wrong), but not without an ulterior, personal motive. I liked the first book, but things fall better into place with Dorothy Parker Drank Here - the interludes where Mrs. Parker encounters friends as they gradually pass on were a nice touch.